Always Encrypted (AE) is a new feature introduced in SQL Server 2016 to secure your data in SQL Server at column level. 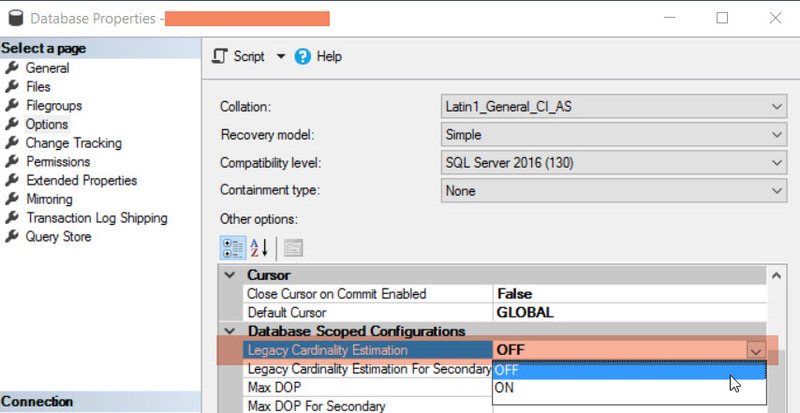 Perhaps, SQL Server has many options to secure the data, the new feature Always Encrypted stands out from the list with unique characteristics – “Always Encrypted”. Before we get into details about Always Encrypted, let us quickly look at the security features in the SQL Server in comparison as an overview. Why do we call Always Encrypted? As the name depicts, Always Encrypted feature in SQL Server always ensures your data encrypted, that means, the data at rest and in motion. The encryption and decryption happens at client application using an Always Encrypted driver. This separates the encryption from SQL Server database engine and enforces more security in a better controlled manner. How do we implement Always Encrypted? First and foremost action is to install the right version of SQL Server 2016.If you do not have the right version, you will not find the option “Encrypt Columns” in “Task” of the database options. 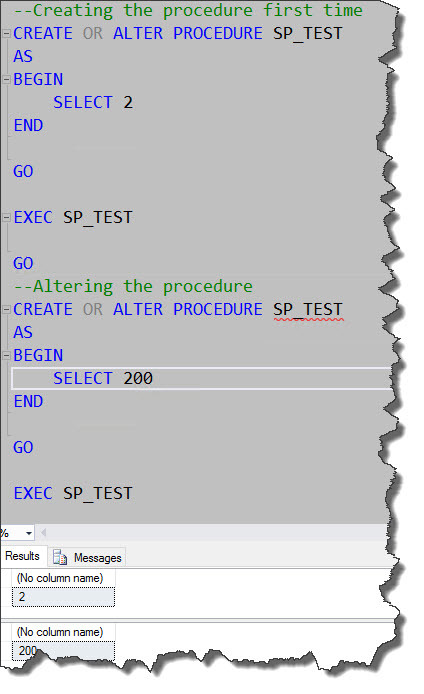 If you are not using SSMS version 13.0.4001.0 or above, you will not be able to see this option in your SSMS. There are two ways, we can implement Always Encrypted in SQL Server using Wizard and T-SQL. 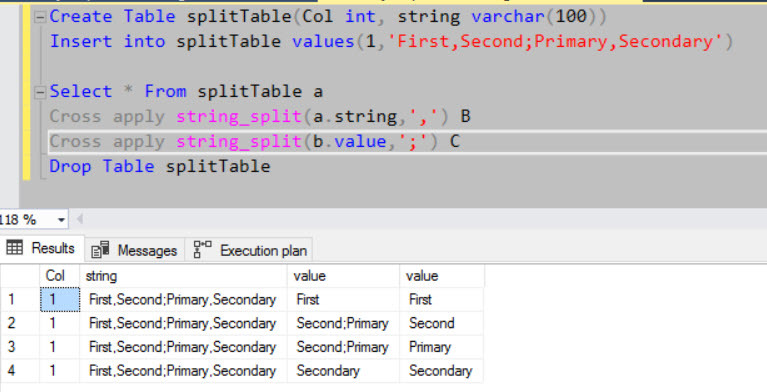 However, we need to know that for existing table/column data, there is no way to implement the AE using T-SQL in SQL Server 2016(SP1). I mentioned the service pack as a caveat because Microsoft may change this behavior in future, but unlikely as of now. For existing data, we need to make sure the AE needs to be implemented using Wizard. It is quite good to be noted there is an option to generate PowerShell script for the existing data to encrypt that can be run later. Why do we need two encryption keys? Yes, Always Encrypted uses two keys – Column encryption key and master encryption key. 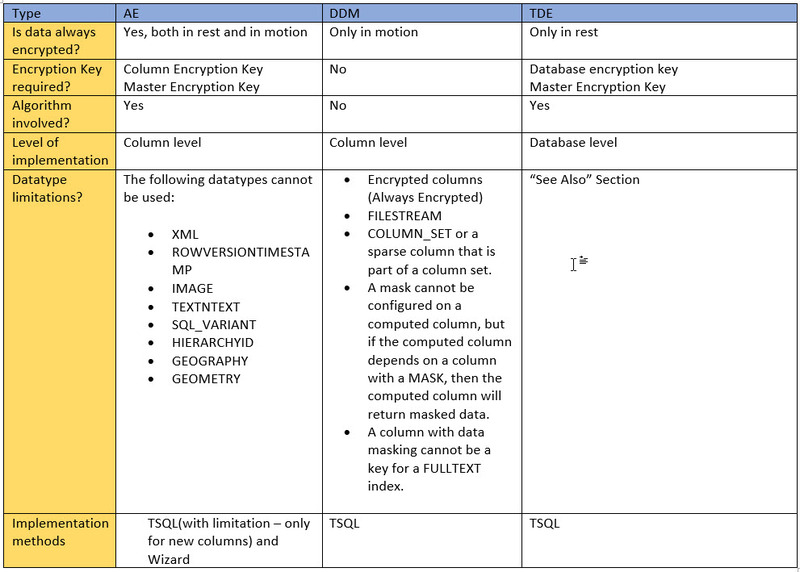 Column encryption key is used to encrypt the value in the column and database engine stores the column encryption key in the SQL Server instance. However, master key is being stored in external key store like Windows Certificate store or Azure Key Vault and database engine will have metadata pointer to the external key store. Master key is responsible to encrypt the column encryption key. How do we verify the above implementation? How do the application encrypt and decrypt the value? Client application uses Always Encrypted driver. 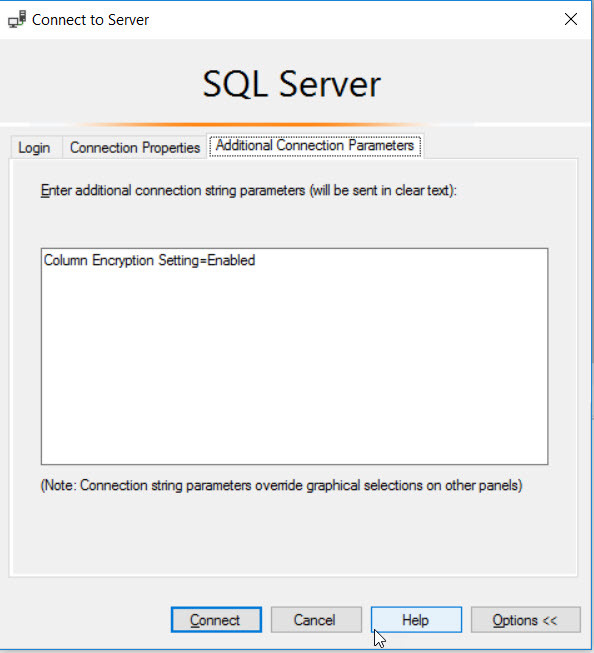 I would suggest you to go through “Using Always Encrypted with the ODBC Driver for SQL Server” to understand better the usage. Anyway, this blog post will be followed up with the next post, on which I am currently working on, to understand the performance impact. What are the different types of encryption in Always Encryption feature? Yes, AE comes up with two different type of encryption. As the name suggests, this type will always produce the same encrypted value for a given text. Ideally, this may not be a good option for all the keys as a good intruder can easily understand the value by analyzing data pattern as an example, gender, polar questions etc. As the encrypted value for a given text is always same, the encrypted column can very well part of a join, grouping and indexing. As the name suggests, it will produce randomized value which will make the encryption more secure than the earlier. 1. 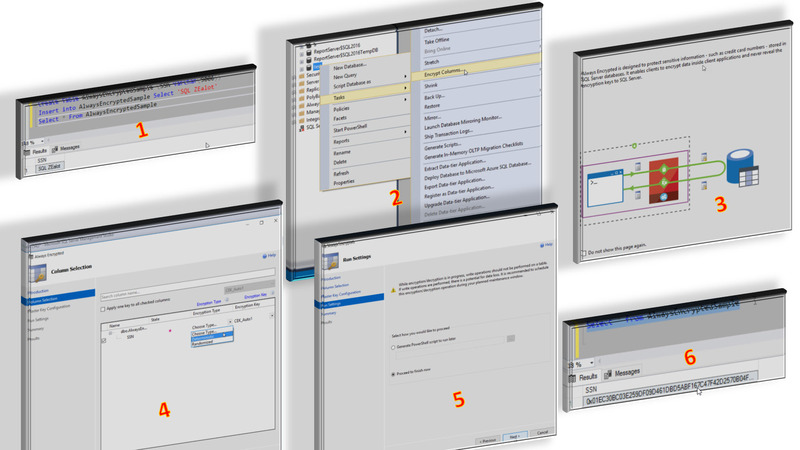 There is no straight forward method to implement AE for existing data apart using the wizard. However, wizard can generate PowerShell Script to do the action later. 2. Encryption method – Deterministic is less secure compared to “randomized”. 3. Encryption method – Randomized cannot be part of joins/groups/indexing. 4. INSERT/UPDATE operations are not allowed directly to table unless through the client driver. We will receive the below error message. 5. By specifying encryption setting in “Additional Connection Parameters” in SQL Connection window, who has access the encrypted table, can see the actual data. However, the login cannot modify or insert new data. To know more about other Always Encrypted limitations, please refer Aaron’s blog. Could not load assembly ‘Microsoft.SqlServer.Connectioninfo, Version=10.0.0.0, Culture=netural, PublicKeyToken=89845dcd8080cc91’ or one Of its dependencies. The system cannot find the file specified. 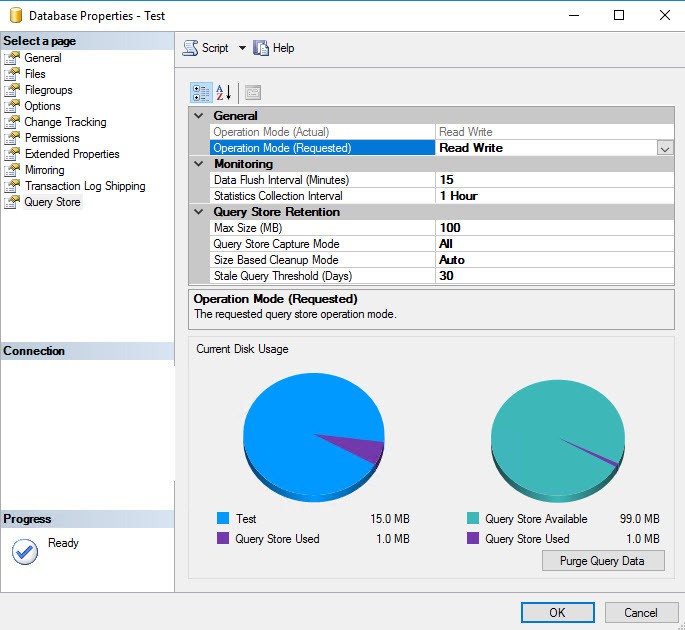 As a knee jerk reaction, we initially thought it was an issue with SQL Server 2016 installation and need to install the Feature Pack for SQL Server 2016. Once applied the feature Pack, we again tested and found the same issue unfortunately(but really fortunate one!!!). Analyzing further(I mean, reading the error message clearly, It is found the version 10.0.0 that represents Microsoft® SQL Server® 2008. As we do not have SQL Server 2008 installed in the environment and the code(.NET application) has some reference to the version mentioned, this was not able to find the dlls in the specified path(C:\windows\assemblies\). To proceed with our testing, we installed SQL Server 2008 R2 Feature pack and resumed our testing. Finally, it worked like a treat!!! The learning is we always need to go to the facts(error message) than blindly presume things!! !